Craft, art, desire. Add persistent hard work, and what do you get? Artistic and professional success. Why is it, then, that some students who are passionate about making music and have opportunities to refine their skills will practice intently yet others won’t? There can be many reasons, but Carol Dweck, Professor of Psychology at Stanford University and author of Mindset: The New Psychology of Success, offers one compelling explanation. Dr. Dweck identifies two basic mindsets: growth and fixed. People with growth mindsets recognize that knowledge and skills arise from effort – they view intelligence and talent as products of work. They realize that our creative powers aren’t genetically preset because the neurons in our brains can continually make fresh connections. Individuals who harbor fixed mindsets believe, often unconsciously, that people’s abilities reflect their innate endowments. They might see themselves and others as either smart or dumb rather than acknowledging that skillfulness and intelligence are grown. For instance, when fixed-mindset music students hear established artists perform, they might think, “They’re more talented than me. I could never do that.” Conversely, those with growth mindsets might inquire about the ways in which the artists acquired fluency and then apply what they learn in the practice room. 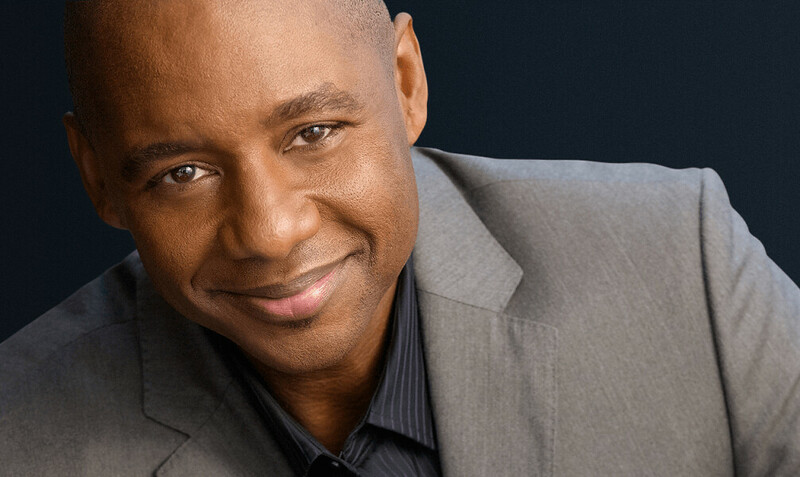 Artists such as Branford Marsalis epitomize the growth mindset. Compared to them, people with fixed mindsets make for stark contrasts. It seems that Mr. Marsalis’ students are fraught with the fixed mindset. Do such students benefit from coaching to transform their mindsets? Dr. Dweck has proven as much. The abovementioned video also conveys the pernicious nature of the fixed mindset. As Dr. Dweck makes clear, when students deem that ability is determined by allotments of talent rather than incrementally grown, they typically look for validation that they “have it” and fear that they might not. In the case of music students, I’ve noticed that the fixed mindset also contributes to stage fright, partly because it “makes other people into judges instead of allies” (Mindset, p. 67). Given the anticreative force of the fixed mindset, let’s foster the growth mindset in each other. Let’s affirm that every one us has the potential to enjoy lifelong creative development. I then engage the students in a discussion about the relationship between effort and attainment, pointing to models of renowned high-achievers, such as Mr. Marsalis, and their years of intense practice. 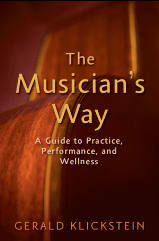 See my book The Musician’s Way for strategies that support the growth mindset and empower musicians to fearlessly pursue their dreams. Great stuff, John – thanks for contributing! This isn’t a direct response to the Growth Mindset but is an interesting approach to motivating students and opening their eyes to possibilities. These are notes from a recent lecture at the U. of Georgia. I think they apply to all musicians – students, teachers, and performers. David Zerkel teaches and plays tuba. He is an exceptional musician. top ten list of sorts… I hope they listened! perspective and will give you the insight needed to play with style. appreciate your potential and your ability to improve. develop this skill much more quickly if you are going to concerts. 6. Embrace what technology has to offer us in developing as musicians. and evaluating my practice on a daily basis. 7. Be curious! Strive to know the repertoire for your instrument. the library. This will help your sight-reading skills immeasurably. Strive to be a comprehensive musician, not just a jock on your horn! are first a great musician. will pay off in the end! I admire people who have a growth mindset. I’m scared by nature, so my first instict is defeat and envy. I am trying to fix that though, by being less daunted by criticism and taking it as positive as I can. Terrific article, Noa. Thanks for the comment and for sharing the link. What a funny coincidence – I just came across this book a couple months ago and have been recommending it as a must-read for parents. As the parent of two little ones myself, I’m beginning to realize how tricky it is to reinforce effort and other process variables when outcomes and achievements tend to be most salient to our natural (and perhaps cultural) results-driven mentality. Such an important topic – glad to see it appear on your blog! Thanks for raising this very important issue, Elissa, and for reminding us that, when we teach children, we also need to coach their parents. I’ve worked with children in a typical suburban piano teaching practice over the past two decades, and even more important than the child’s mindset (in my experience and opinion) is the mindset of the parent. A five-year-old child whose parents believe that their achievements reflect who the child is rather than what the child has accomplished will grow into an adolescent who sees performance as an opportunity to fail rather than an opportunity to celebrate. Helping parents change their perceptions and language can (hopefully?) prevent children developing this ‘fixed’ mindset. As educators, we’re challenged to devise strategies that foster the growth mindset, even in students who’ve been clinging to fixed mindsets for years. Discussions of principles helps, but it’s not enough. Nor does modeling suffice on its own. We have to create opportunities for students to experience growth – that is, to succeed again and again – and thereby believe in their ability to evolve without limit. Hence, in my book and on this blog, I emphasize choosing accessible repertoire, pinpointing goals, and acquiring specific creative skills that ensure artistic success. This is a fascinating topic, because we have all encountered both mindsets. Figuring out how to work with the various attitudes toward “what it takes” can be very challenging!